I was in Washington, DC, on September 11, 2001. I remember driving out to the Pentagon at 3am on September 12th. I remember seeing red smoke rising from the Pentagon as a police car escorted me and my friends back to Washington, DC. Ten years later, I returned to the Pentagon to visit the National 9/11 Memorial. What I remember most about my time at the Pentagon 9/11 Memorial was how quiet the site was. Although there were a few dozen other people there, no one talked above a whisper. Considering the goal was to create a place for remembrance, reflection and introspection, I would say the architects did a fantastic job. “To preserve the memories of those lost and the day’s tremendous significance in our nation’s history, the Pentagon Memorial Fund, Inc. was formed to raise the necessary funds to build a simple but meaningful memorial near the site of the attack for all to visit. 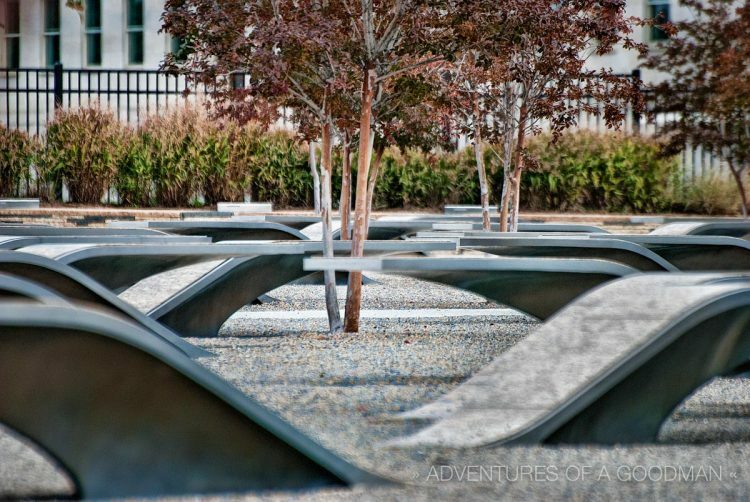 The Pentagon Memorial Fund is also dedicated to developing educational resources and outreach opportunities to help visitors understand the historic significance of the site and the events that occurred on September 11, 2001. In 2003, a large cross-section of corporations, countries and individuals – including family members of the victims, former presidents and first ladies, members of Congress, former military leaders, people from across America and the world – joined together in support of the Pentagon Memorial Fund. Edward V Rowenhorst’s memorial bench. To honor the 184 victims, 184 illuminated benches have been arranged according to the victims’ ages: from Dana Falkenberg, 3, to John Yamnicky Sr., 71. The landscaped garden is covered in gravel and each of the benches has a plaque engraved with a victim’s name. 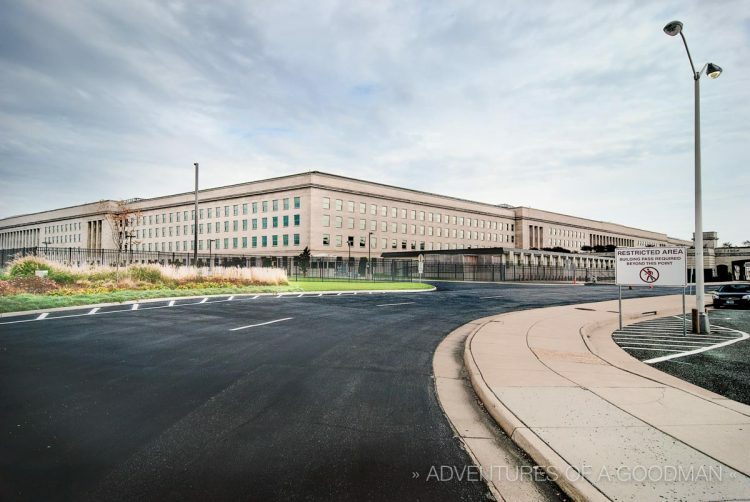 All plaques face the south side of the Pentagon; so, when visitors are reading them, they face the part of the building where the plane crashed. If more than one member of a family died during the attack, family names are listed in the reflecting pool under the bench. This is in addition to a separate bench that has been created for each individual. Surrounding the memorial, a wall rises from 3 inches to 71 inches; representing the ages of the victims. It should be noted that although the memorial is open to the public and photography is allowed, the areas surrounding it are off limits to civilians. While wandering the parking lot with my camera, I was told to turn around and not take any more photos by an armed soldier. The below view is as close as I was allowed. I invite you to share any memories you have of September 11 in the comments section.